Food waste is a major issue in developed countries. This unit is designed to teach students about food waste and ways they can help reduce it. 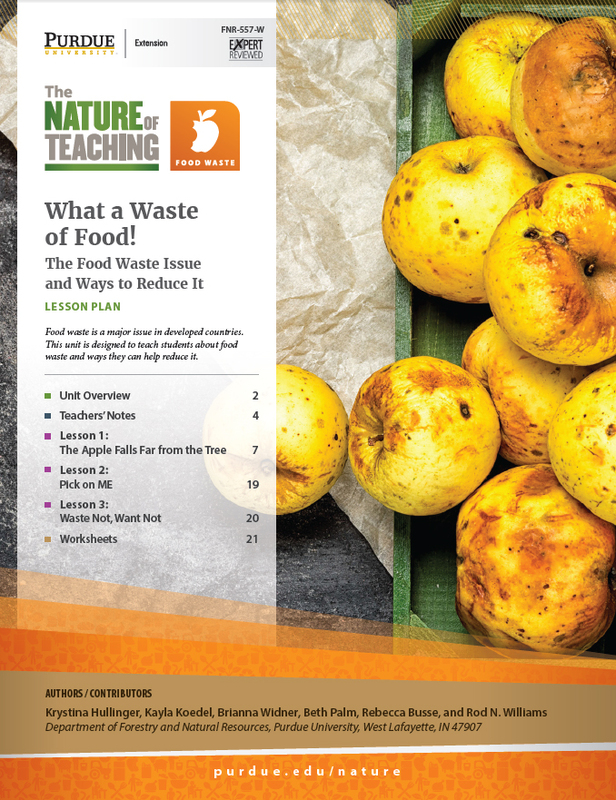 This section contains one unit with three lesson plans that will teach students how to reduce food waste by learning more about proper food storage, best-by dates, and ugly foods. It also contains a stand-alone lesson on food packaging and composting. To view this free complete unit see: What a Waste of Food! Lesson Plans and PowerPoint, The Education Store, Purdue Extension.